... Anyone heard anything? Do we know what Boeing did after testing the one Shawyer sent them? They say they are not working with him, but that doesn't rule out developing his technology. Such work has evidently ceased. “Phantom Works is not working with Mr. Shawyer,” a Boeing representative says, adding that the company is no longer pursuing this avenue. Notice that Hambling disclosed not only that “Phantom Works is not working with Mr. Shawyer” but even more final , they added that "the company (Boeing) is no longer pursuing this avenue." From what Hambling wrote, it reads to me that Boeing Phantom Works is no longer pursuing this (EM Drive) avenue. Furthermore, given a previous arrangement between Boeing and Shawyer, it would be highly non-standard for Boeing to continue working on Shawyer's technology without an Intellectual Property arrangement with Shawyer that would allow this. And, if Boeing would have conducted their own independent microwave cavity EM Drive R&D work prior to the arrangement with Shawyer, it would not make Intellectual Property sense that Boeing would have entered into an arrangement with Shawyer, as large companies usually refuse to discuss inventions with outside inventors because such discussions and arrangements create Intellectual Property issues (Ford Motor Company has an old classic legal case on such IP questions, involving windshield wipers). Since Boeing is a very large public company with an extensive IP department, this implies that indeed "they are no longer pursuing this (EM Drive) avenue" at all, and if, hypothetically, Boeing were to conduct such development in the future, it would have to be a very different (for Intellectual Property purposes) engineering design than Shawyer's EM Drive. In other words, Boeing would not be developing "his (Shawyer's) technology" but Boeing's separate, unique, very different (for IP purposes) technology. Velocity measured relative to what? It should read "At constant input power, the thrust, and therefore the acceleration, must decrease with time, to ensure that the spacecraft's (change in) velocity never exceeds 2*Power/Thrust"(I have accordingly added "change in" in the original entry). Of course, changes in velocity produced by external forces (for example by gravitational sling-shot) are not part of this consideration, only the ThrustForce is under consideration. Sounds to me the answer to the question by Vultur would then be "relative to initial velocity". Which poses the problem (already mentioned) of what records/holds the initial velocity ? Say we have 1N/kW, 1kg spacecraft, 4MJ energy onboard to spend at a flow of 1kW (yielding 1N thrust), for a duration of 2000s (we will spend only 2MJ). a=F/m=1/1=1m/s² Final velocity at 2000s vf=a*2000=2000m/s. DeltaV is 2km/s. Kinetic energy Ek=.5*1*2000²=2MJ exactly what was spent. Now any more use of the thruster with the remaining 2MJ should yield less than 1N/kW efficiency if we are to be shy of the "energetic paradox". At this point, first spacecraft meets another spacecraft that was put there (at same velocity) by conventional means. Otherwise, second spacecraft has same design (EM thruster...) and batteries loaded at 2MJ. The two spacecrafts are undistinguishable, same design, same onboard energy of 2MJ, except that one has already used his "EM drive credit" and can't anymore use power at 1N/kW efficiency, while the other is "fresh", and can have 1N/kW for 2000s. There would be a kind of "memory effect" to differentiate those two spacecrafts. BTW, "added kinetic energy" seems a poor metric, there is always an inertial reference frame in which it is 0 (for instance relative to the mean velocity between Vinitial and Vfinal). To me it is hopeless to save propellantless schemes at thrust/power > 1/c from both energetic "paradoxes" and special rest frame (aether) : if this kind of ratio is possible one of those must be abandoned, either a problem of diminishing returns appears relative to some absolute velocity rest frame (local vector to be determined) or power is pumped from somewhere (with tachyons involved, if relativity is to be respected). Taking together apparent respect of energy conservation and relativity (change in velocity) gives worse paradox than (apparently) breaking energy conservation alone. Equating "change of velocity" with "change of kinetic energy" is ill defined : 2/m*DeltaEk = (Vf-Vr)²-(Vi-Vr)² = Vf²-Vi²+2Vr(Vi-Vf) with Vr the arbitrary velocity of a change in inertial reference frame, how could deltaEk have any meaning as soon as Vi != Vf ? 3/ We are not using a bath or aether, the EMdrive just comes by on its own in nothingness and emits something that is forever lost (can't be closed, closed solutions can't see their centre of energy depart from an inertial trajectory). So if I consider a device in its own rest frame, it is spending a infinitesimal energy E, with this Energy it "creates" and gives velocity to a "thing" of mass m that is leaving and never to come back again. With Gamma the Lorentz factor 1/sqrt(1-v²/c²), v in the rest frame where the device is not (yet) moving. We agree that conservation of energy and conservation of momentum are the two most fundamental rules to apply. So for the later, the device gets a reaction kick of p momentum, at the price of spent energy E.
Insisting on both relativistic (difference, not absolute velocities) and spent/gained energy balance hypothesis should invariably have tachyons as consequence. 1) Ron Maimon answers the question "Is the change in kinetic energy of a particle frame independent?" with a resounding: NO: "energy isn't conserved the same way in every frame because the energy is not separate from the momentum. This is clearest in relativity, where the energy is the time-component of the energy-momentum vector. Then if you change frames, what you called energy partly becomes momentum, and it is the conservation law of the total energy-momentum vector which is frame independent." I would have written this instead as "the total energy-momentum vector is covariant, not invariant". where thrustForce, mass and deltaTime have frame-independent unique meanings. This follows directly from A) the definition of constant acceleration and B) Newton's second law. (1/2)*Mass*[(ThrustForce/Mass)*(delta time) ]^2 = InputPower*(delta time) . This equation relating thrust force to change in velocity of the spacecraft is consistent with textbooks on Rocket Propulsion, for example: Sutton's textbook on Elements of Rocket Propulsion (equation 19-1 Rocket propulsion elements 7th edition- Sutton)). As to how such a memory can arise in a seemingly simple system of microwave photons in a cavity, let's add this to the enigma of conservation of momentum of the EM Drive. We know of materials that have memory of their time history (of stress, strain, stress rate and strain rate) but they are macroscopic materials much more complex than the apparently much simpler microwave cavity EM Drive. If the EM drive conserves momentum by interacting with the QuantumVacuum for example, we have an open system where momentum will be flowing in or out of the cavity, and therefore the open system should be taken into account in the conservation of kinetic energy (which we have not done) in order to arrive at a satisfactory answer. Strangely enough, Doctor McCulloch's latest blog post deals with this issue or its first cousin. *for theories advocating interaction with the Quantum Vacuum (Dr. White's or the theories considered by @Mulletron) the energy/momentum of the involved Quantum Vacuum has to be taken into account. 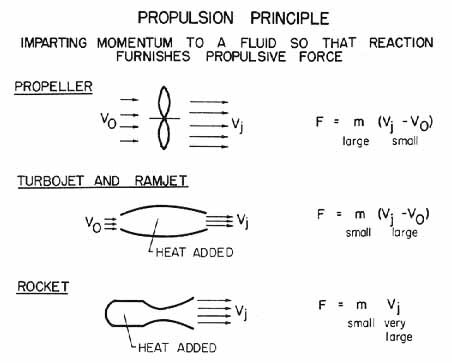 An example would be given by Dr.White's analogy of the propeller in a submarine: the energy/momentum of the water propelled by the propeller has to be taken into account. Thus my conclusion is that Joosten and White's "paradox" analysis for the EM Drive (Appendix A of "Human Outer Solar System Exploration via Q-Thruster Technology" by B. Kent Joosten and Harold G. “Sonny” White, http://ntrs.nasa.gov/archive/nasa/casi.ntrs.nasa.gov/20140013174.pdf ) is incorrect/incomplete because they failed to take into account the energy/momentum of the involved Quantum Vacuum (which they advocate as the reason for conservation of momentum yet they fail to take into account when they perform the kinetic energy constraint). If the EM drive conserves momentum by interacting with the QuantumVacuum, we have an open system where momentum will be flowing in or out of the cavity, and therefore the open system should be taken into account in the conservation of energy in order to arrive at a satisfactory answer concerning any velocity limitation. With this type of set up could you determine if the casimir effect is a suitable stunt double for exotic energy or mass for purposes of White's warp drive idea? We are now in 2015. If the experiments to confirm their theoretical expectation are so easy to implement in a laboratory as the authors claimed in their 2011 paper, has anyone heard anything regarding their experimental confirmation or nullification? Just an FYI on contactless connector for garage builds. OK! I can get all 3 quantum numbers to agree w/ the Brady results. The mode numbers they give have to be erroneous as they don't fit w/ the cavity frequency calculations. That limits the fit. I'll try to get time to send the whole ball-a-wax by this weekend. Unlike the previous waveguide attempt, this wasn't done on a series of scribbled post-it notes. Here I've tried to incorporate all 3 subscripts into the expression and eliminate some of my own confusion about the reported modes. This should allow for some comparison w/ the Dynamical Casimir Effect which also shows Doppler type behavior. I had a lot of trouble trying to figure out the X's from the "given" modes until I remembered they were in the cavity frequency formulas. That eliminated most of the possible modes. a and b are the end plate radii and L is the cavity length. For TM modes, X[sub m,n] = the n-th zero of the m-th Bessel function. and for TE modes, X'[subm,n] = the n-th zero of the derivative of the m-th Bessel function. I kept everything in terms of frequency this time to minimize my own confusion. Hopefully, I didn't screw it up and can get on to momentum conservation. Keeping my eyes on the conference scene, nothing out of this one: http://www.aiaa-scitech.org/ http://www.aiaa.org/EventsCalendar.aspx?id=79 I scanned the program and didn't spot anything. Things have been pretty quiet for a few months now. What's going on here? The follow up news after "anomalous thrust..." hasn't been coming. Anyone have any new gouge? Has there been the least indication yet when we are too get some more results in relation to those who are experimenting in this area? There is essentially a news blackout on the experimental side from NASA. The problem is, if this drive really works, the defence implications are huge. Those in charge might feel it would not necessarily be a good idea to go public with it -- especially from the US perspective. Remember that 'Sputnik moment'? @wembley, do you have any specific info about why you think there is a news blackout? Also, do you have any further verifiable information from this post: http://forum.nasaspaceflight.com/index.php?topic=29276.msg1265607#msg1265607 stating Shawyer stopped using a dielectric section? With my tinfoil hat on;) it's gone into the black and no more will be heard about it. Mind you surely the genie is out of the box now for it as an experiment able to be replicated including by other countries. With my serious hat on perhaps you should ask on Talk-Polywell as there's probably people on there who might have an answer for you? That the speed of light in free space is constant is a cornerstone of modern physics. However, light beams have finite transverse size, which leads to a modification of their wavevectors resulting in a change to their phase and group velocities. We study the group velocity of single photons by measuring a change in their arrival time that results from changing the beam's transverse spatial structure. Using time-correlated photon pairs we show a reduction of the group velocity of photons in both a Bessel beam and photons in a focused Gaussian beam. In both cases, the delay is several microns over a propagation distance of the order of 1 m. Our work highlights that, even in free space, the invariance of the speed of light only applies to plane waves. Introducing spatial structure to an optical beam, even for a single photon, reduces the group velocity of the light by a readily measurable amount. What effect does reduced group velocity in free space have on the momentum of photons? Since the genie is out of the bottle there is no way to put it in the black. They already went public with it. But as @Wembley stated, there are huge defense uses for this....why DARPA is involved. The military applications of it will be black, for certain, as they should be. So if these emdrives work, they'll likely find their way into applications such as this before they are helping us explore the solar system. On the flip side, this will flood the arena with dollars and expertise, especially if the Chinese have already one upped us. So as far as space flight applications, the other day when, for the purpose of exercise, I converted the ISS to an interplanetary spaceship, would such a thing in the real world make sense? Or is it just plain ridiculous? I was thinking that from an economic standpoint, converting it to that use, and boosting it out of LEO and beyond, would be far cheaper than building a whole new space craft. And since it is modular already, it has to be a pretty straightforward adaptation for an exploration mission. 2) closest to NASA's Brady et.al. experimental results. There is a lot to discuss, but I would like to start with your finding that the Brady mode shape quantum numbers (m, n, p) must be erroneous. A) The NASA authors report that they used the commercial finite element software COMSOL Multiphysics® to calculate the frequencies and mode shapes. COMSOL Multiphysics® software can indeed calculate the frequencies and it can be used to plot the mode shapes, but COMSOL Multiphysics® does not define the mode shape quantum numbers. Such mode shape quantum numbers can only be defined by convention. 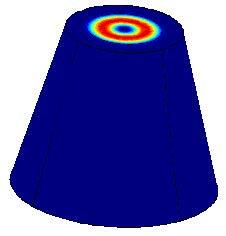 B) The truncated cone (tapered frustum) is asymptotically closest to a cylindrical waveguide, the two becoming identical at a tapered cone angle of zero. However we must admit that a truncated cone mode shapes cannot be identical to the mode shapes of a cylindrical cavity. However, as an engineering approximation, for the tapered cone angle being small it should be acceptable to describe the tapered cone mode shapes with the same terminology as the one used for a cylindrical waveguide. C2) Ignoring the presence of the dielectric: assuming an empty cavity. The first subscript (m) is the azimuthal mode number: it indicates the number of full-wave patterns around the circumference of the cavity. It is zero for modes in which there is no variation in the circumferential direction. The second subscript (n) is the radial mode number: it indicates the number of half-wave patterns across the diameter. The radial mode number (n) plus one indicates the number of nodes across the diameter (counting as nodes the end nodes). The third subscript (p) is the longitudinal mode number. It indicates the number of full half-wave patterns along the longitudinal length of the cavity. It is zero for modes in which there is no variation in the longitudinal direction. A. I'm still having conceptual difficulties w/ the mode numbers trying to resolve the waveguide vs cavity versions of this thing. G. Those still might not be the correct modes given that the dielectric is not taken into account along w/ the dimensional approximations. i didn't try all matches. This is a very interesting paper ! wait. going from "that" book again: the speed of light is constant in local frames of reference only. If you are way over there and i am way over here we measure light where we happen to be the same (locally invariant.) But if am over here and i measure the speed of light over there (where you are) i may get a different value for the speed of light (where you are) than you do. E.G; if you are near the event horizon of a black hole and i am way over here; you still experience light and other things as you would expect but i see light and other things as frozen where you are at. I have encountered dozens of people who argue for pages and pages that relativistic time dilation causes a stationary observer on earth to experience 1000's of years when a relativistic rocket (at 99% C) travels 4 light years to Alpha Centauri. They get it completely wrong and argue the wrong reference frame for pages as if their lives depended on it. These are people that have at least read books on relativity written at the popular level. In short -thinking about reference frames can warp your mind and your calculations. I recommend laying down and avoiding them. 2) their positive results come about through chance or design accident. The fact that they do not sufficiently explore the complete mode shapes in the cavity does not mean that they proceeded from "badly flawed assumptions". That is too severe an assessment. Therefore (just looking at the above picture, based solely on the field within the dielectric and ignoring the field in the rest of the cavity as being negligible) it makes some sense for Brady to label the c mode as TE01. EDIT: On the other hand, the presence of the dielectric may not be that relevant to what matters: the thrust, because NotSoSureOfIt predicts the reported experimentally measured thrust based on an empty cavity with no dielectric (and hence a very different mode shape: TE22 instead of TE01). What is really most impressive is that NotSoSureOfIt has come up with an analytical solution (which Brady et.al. did not do) that models the experimental results accurately in terms of mode shape quantum numbers, and that NotSoSureOfIt has done this with a minimum of data compared with the data available to Brady et.al.